HTC to launch three Windows Phone 8 devices next week? 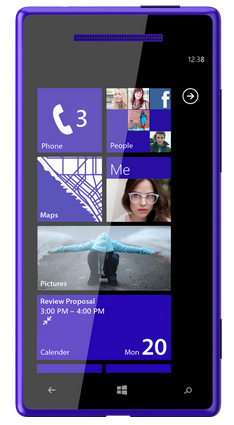 We already know about one HTC Windows Phone 8 device most likely coming next week, on September 19th, in New York. But if history is any consolation, and rumours turn out to be true, we could be in for a trio of Windows Phones from HTC next week. The ‘Accord’, also known as the HTC 8X, will have a 4.7-inch HD screen, a 1.5Ghz dual-core Snapdragon S4 processor, 1GB RAM, an 8MP “Image Sense” camera and more. But there could also be two smaller devices, tentatively titled the 8S and 8V (see what they did there? ), 4.3-inches and 3.7-inches respectively. The 8S is rumoured to have the same internal specs as the 8X, even the identical 1280×720 screen resolution, which would be an increase over the One S’ qHD display. The One V 8V is expected to be a bit smaller, with a 4-inch WVGA display (800×480), a 1Ghz dual-core Snapdragon S4 MSM8227 processor, 512MB RAM and a 5MP shooter. All three devices will have a microSD slot. There’s also going to be at least one Android device introduced at this press conference next week. We’re going to be there covering all the goings-on, so stay tuned for more!